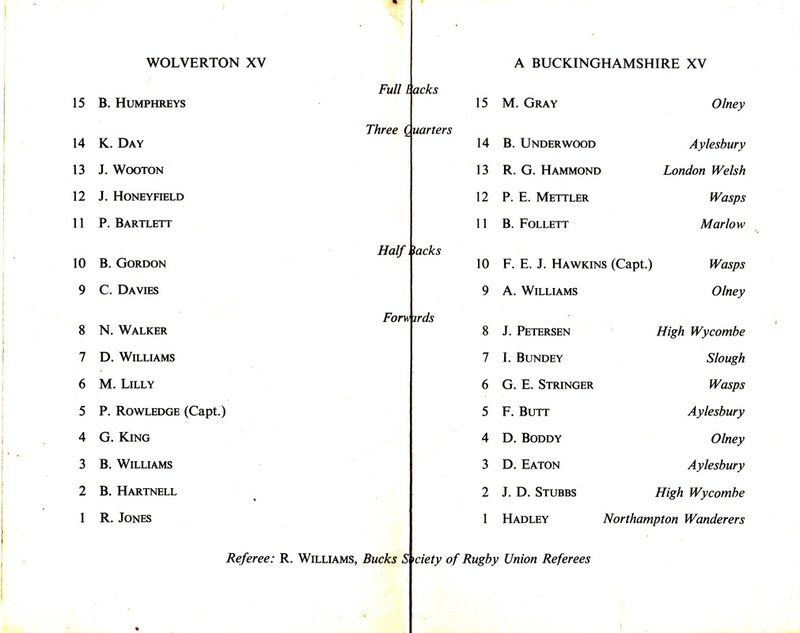 Bev Humphries spent his formative years in Wolverton and joined Wolverton Rugby Club aged 15-19 and then moved away from the area for 24 yrs (1969-1993). He was always a stocky lad and played matches between 1962 and 1965 at Western Road, Recreation Ground. Kit was black shirts, white shorts with black socks with white tops and changing was in the open shelter which used to be situated next to the cemetery. Most games started with 15 men although we often had to borrow a player or two! The Club moved to a wooden clubhouse (with changing rooms and large communal bath!) situated at the rear of Windsor Street, Wolverton (Hodges Furze) on ground previously used as allotments, and 2 doors from where I lived. This meant a place to train and to socialise. 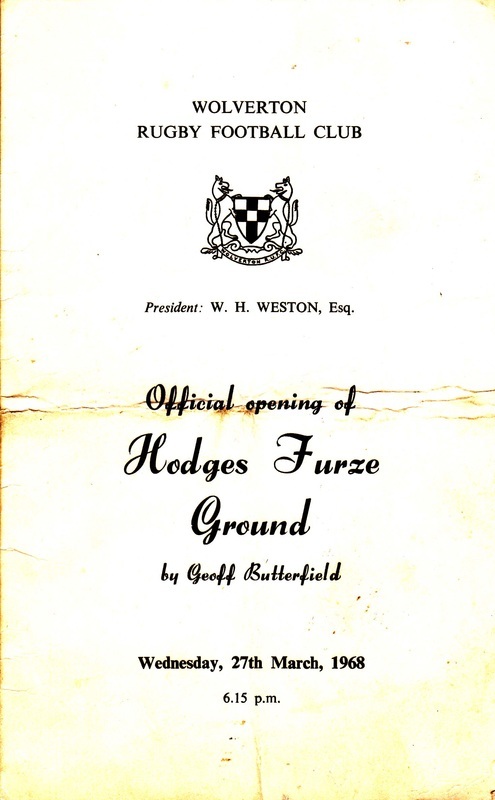 Matches were played on a friendly basis and I visited Bedford (to play Bedford Igranic , Bedford Athletic and Bedford Swifts); Northampton (Heathens, Casuals and BBOB) Coventry (Old Coventrians); Luton; Ampthill; Buckingham; Rushden & Higham; Wellingborough (Old Wellingburians) and Rugby (Rugby Welsh). Kit had by this time changed to black shirts with a broad white band. I remember returning to the area to visit my parents in 1970 and turning out for the 3rd team on a small pitch on the Recreation Ground, Wolverton Road Stony Stratford (there are houses there now! ).